- Publisher The most popular children's Bible story series in the world! Generations of Christian children have learned the Bible through the lively poems and colorful illustrations of Arch Books. Parents trust these colorful books to teach their children Bible stories from Genesis through Acts in a fun, memorable way.The Arch Books series of 100 titles is conveniently divided into 8 sections that include related stories for an organized journey through the Bible. 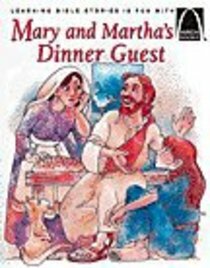 About "Mary and Martha's Dinner Guest (Arch Books Series)"
Ballman is president of Jawbone Publishing Corporation.